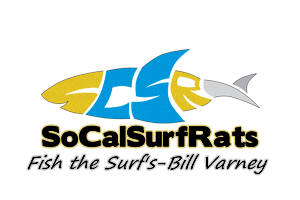 View Profile: PlasticMan - Surf Fishing California - How to Surf Fish & Surf Fishing Reports and Tips. Love to fish - Love God - Dedicated Family Man. Surf Fishing Croaker Contest Winner - Nice pair of 15+ YFC! a beautiful pair of yellowfins! Most rookie surf anglers think that since the ocean is so large, they can just grab a rod, their freshwater tackle box from the garage, head to the beach and expect to catch a boat load of fish. But when they rig up their usual bobber or trout rig and try to cast their line as far out as possible with some left over bait from last weeks freshwater outing, things just don’t turn out as planned. There are many ways to catch your own bait. We have all caught some of these listed. And we have certainly purchased a lot more from the bait store. But a way that a lot of surf fisherman over look is the Pelagic Feared Word "SABIKI"! See made even you tremble. No it's not some ancient asian war lord fisherman. See Photo.